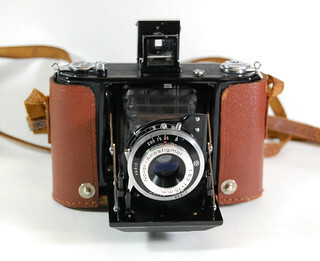 The Nettar series by Zeiss Ikon was a successful range of self-erecting folding cameras for 120 roll film (often described as B2 6x9 film). 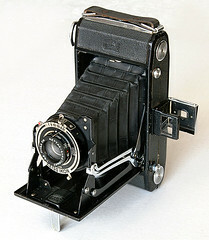 Several types were offered for 6×9cm, 6×6cm and 6×4.5cm format, with different lenses in a variety of shutters. 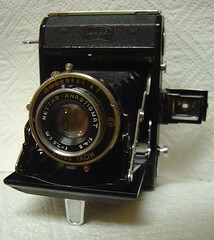 Zeiss Ikon also produced a Nettar equipped with an exposure meter, the Nettax (513/16). 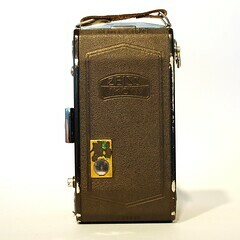 Zeiss Ikon always advertised the Nettar series as being for the amateur photographer. 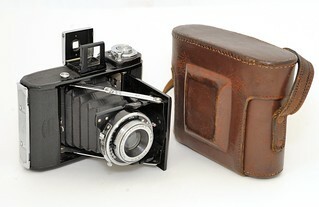 Nevertheless these cameras share many parts with the much more expensive Ikonta series (e.g. 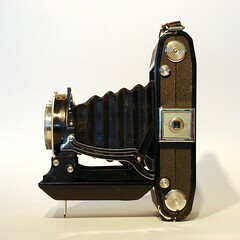 body and struts). 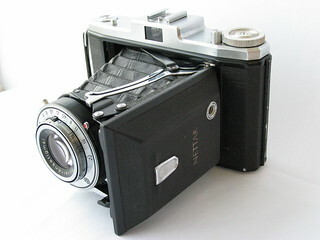 The Nettar series may lack the higher specified lens/shutter combinations and things like film type and speed memo discs but the observed built quality is en par with that of the Ikontas. 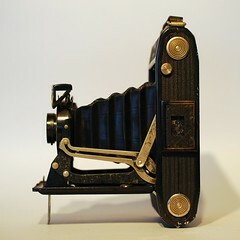 Shutter: Gauthier leaf shutter, speeds 1/25 sec – 1/75 sec. 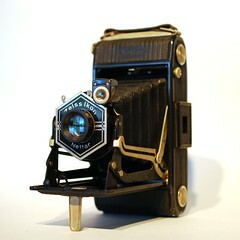 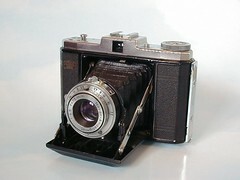 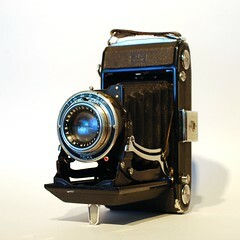 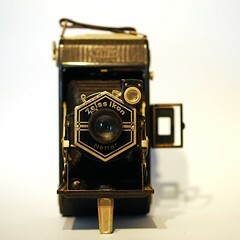 Tessar 1:4.5/10.5cm in Compur or Compur-Rapid leaf shutter. 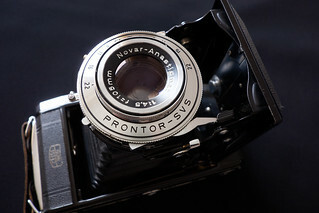 The Nettar 516 is almost the same as a top of the range 515 but has a double exposure prevention system added and a Novar instead of a Nettar lens. 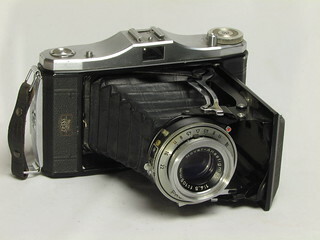 The Nettar 516/2 is almost the same as a top of the range 515/2 but has a double exposure prevention system added and a Novar or Tessar instead of a Nettar lens. 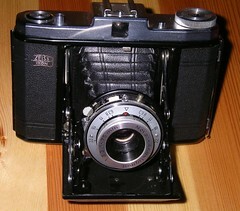 The 517/2 can have 2 top cover variants. 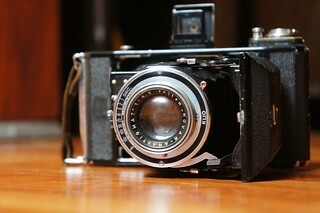 A more curved one (early) and a more rectangular one. 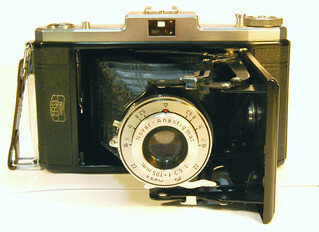 The Nettar 516/16 is almost the same as a top of the range 515/16 but has a double exposure prevention system added and a Novar instead of a Nettar lens. 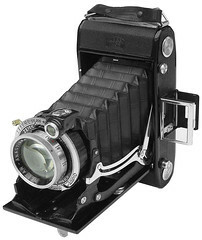 The 517/16 can have 2 top cover variants. 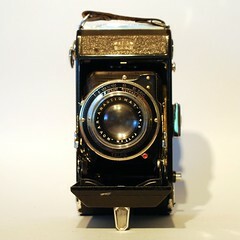 A more curved one (early) and a more rectangular one. 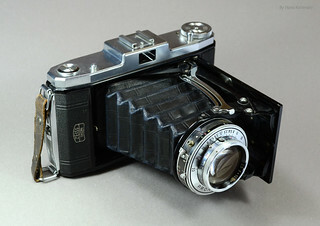 The viewfinder housing has a only a stepped appearance. 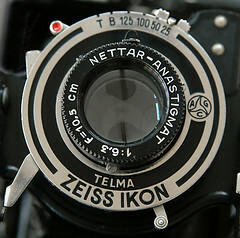 The camera carried the Zeiss Ikon logo on the front (left of the door) and the name 'Nettar' on the front door. 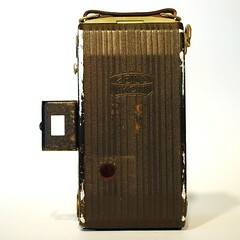 ↑ The ever-ready case carries the serial code 1231/16. 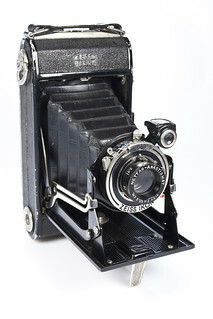 This page was last edited on 27 March 2019, at 20:45.